There is a day. The day that marks the end of days, that always comes for a weed. That day is inevitable. It’s just the timing of it that is left unknown. 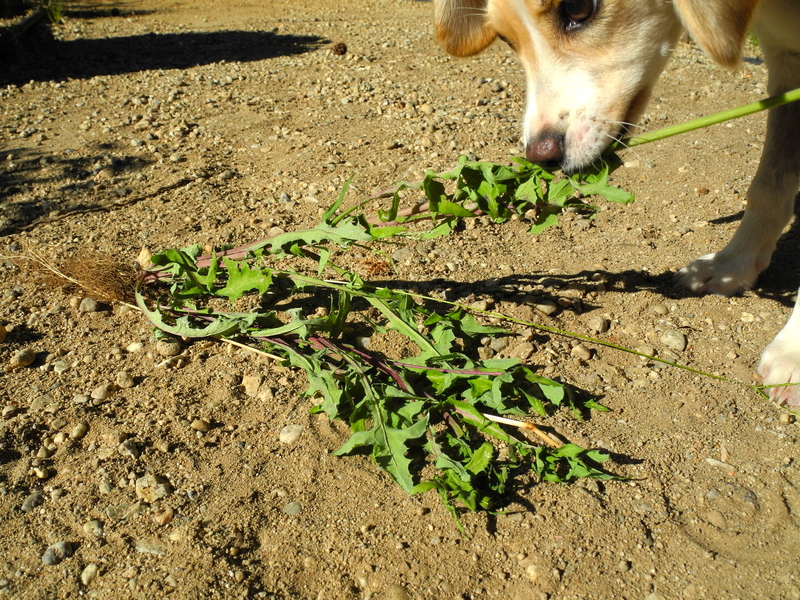 Perhaps that is why weeds live so large and fast. They’ve got to get it all in while they still can! Today the clock ran out for a pair of lean leggy dandelion-like Sowthistles that had thrived in the loose rich soil of my garden for far too long. It took a sunny afternoon with enticing breezes to coax me out to do some serious weeding. That was today! I often find it hard to pluck weeds from the soil because I’m always on the lookout for an image or inspiration that may blossom just at the right moment. However, when I had to part the weeds to harvest some tomatoes, I figured, this is the day. So farewell, respected Sowthistles. You have given me much joy. And even in your final limp moments you continued to offer up inspiration and allow me to capture the drama of your final struggle. Our sweet little pound puppy, Nilla, who has only been with us for sixteen days is learning well the important things to pay attention to. It’s always good to go along with Mother.